Here are the latest mood boards by FV contributor Marieke De Ruiter. She is a Trend Forecaster and Fashion Designer based in the Utrecht area, Netherlands. Her mood boards are directional and curated of the upcoming trends on print, pattern, color and style. You can check out her website here. 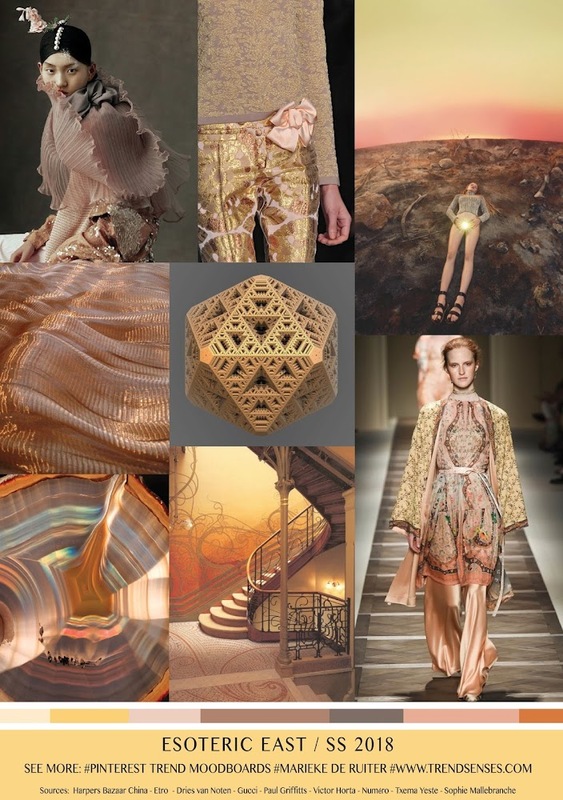 Here is her latest and exclusive color and print mood board for FV emphasizing SS 2018 season - ESOTERIC EAST.